They often say one must think small to make it big, but for Ernie Adams it’s better to think big to make it small. Adams, now 78, has turned nine old, discarded refrigerators into an amazing life. 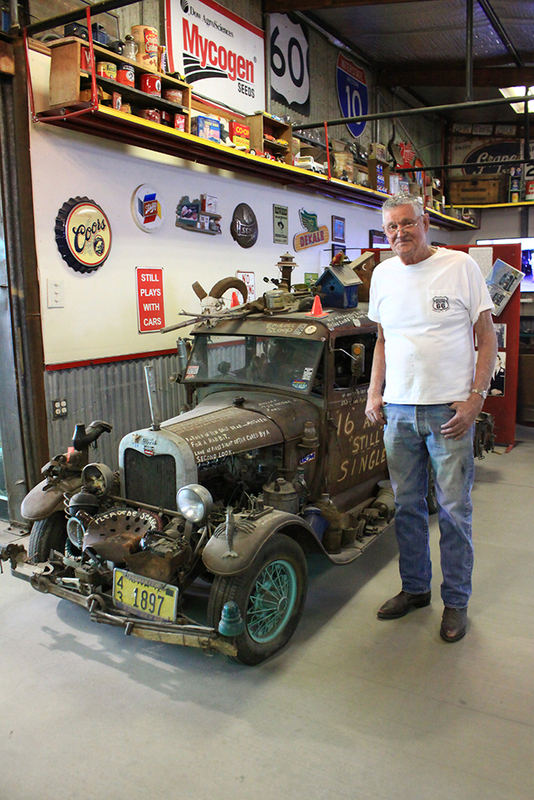 Adams, who lives south of Maricopa, is the creator of eight street-legal dwarf classic cars. He’s also the inventor of Dwarf Car Racing, now called Legends Racing, which has become a national phenomenon. 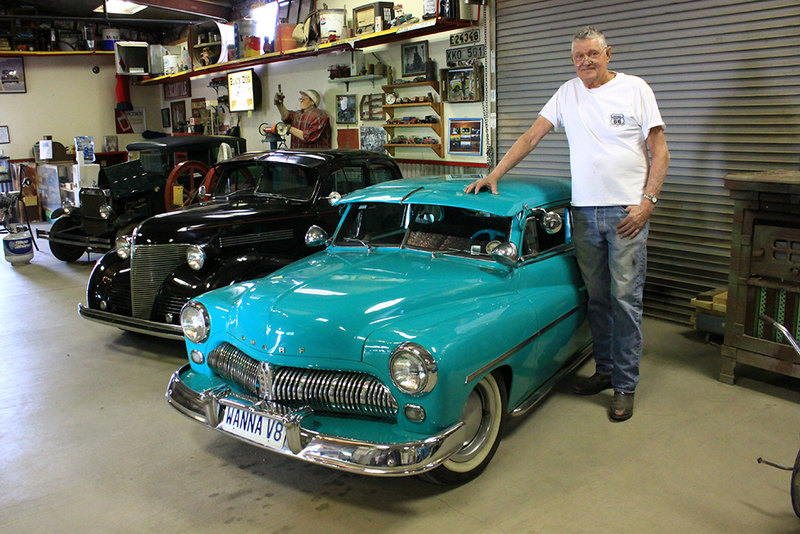 The street-legal dwarf cars he builds are nearly perfect replicas of the original classic cars but at a fraction of the size. They drive well and are fully functioning. 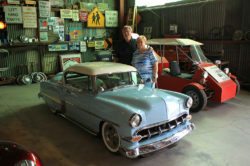 They were so adored by car aficionados that Adams opened the Dwarf Car Museum at his home in the countryside south of Maricopa on Half Moon Road. 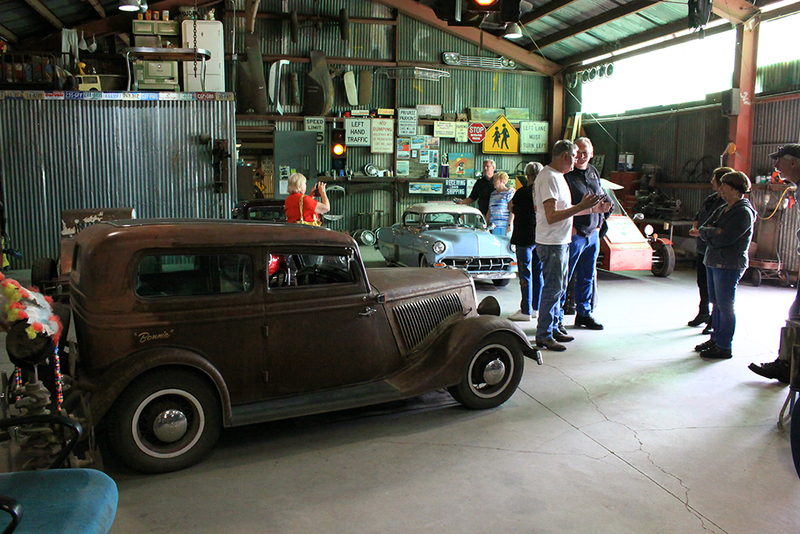 The Dwarf Car Museum is a very popular destination for car folks from across the nation. 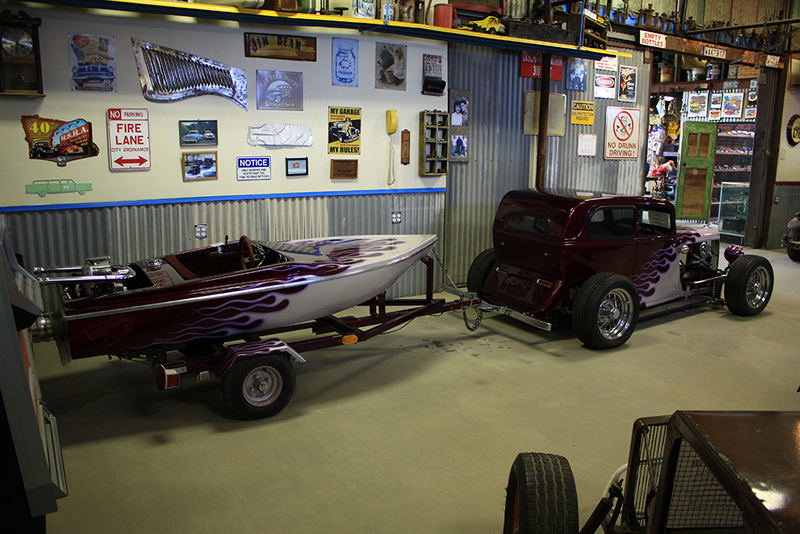 It’s even been featured on several national shows, including Jay Leno’s show. One car will take Adams about 3,000 hours of hard work to create. 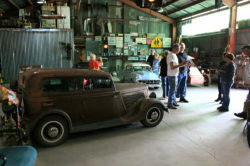 The Dwarf Car Museum has become very popular and it hosts 100 to 250 people a day, seven days a week, including holidays. Even bus tours stop by to look around at the dwarfs. 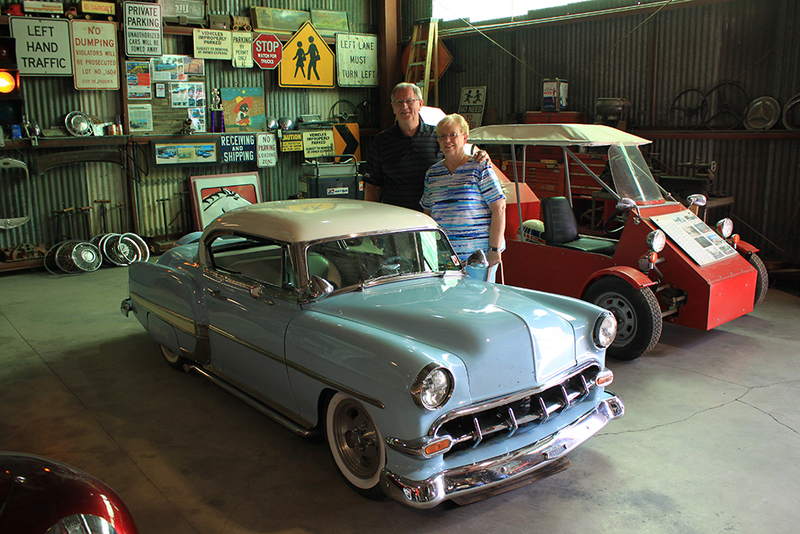 It’s so busy that Adams and his car building friend Gene Tweedy can do little more that talk with visitors and show off their little automotive gems during the day. The museum is closed June 15 to July 8. Adams grew up in Harvard, Nebraska, a small town about 20 miles east of Hastings. Adams became a car mechanic and was married in 1962. 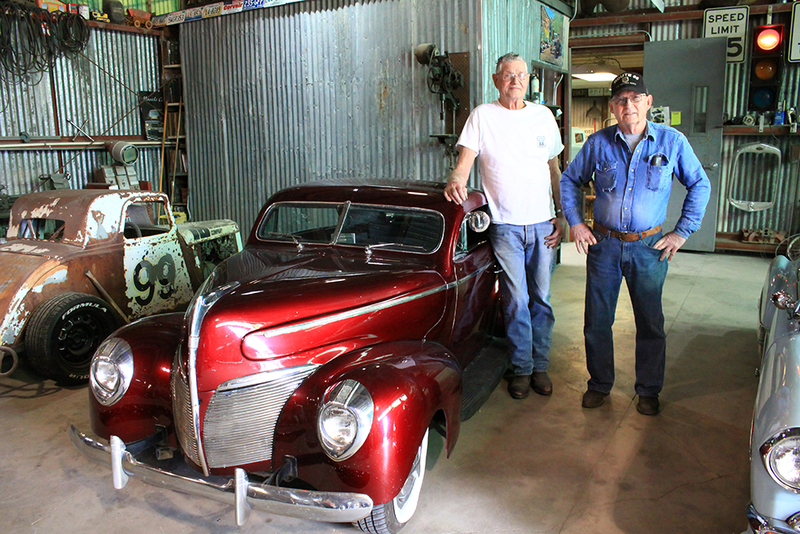 After his first car, he also created “the first Dwarf Racecar.” Many more dwarf race cars followed from a shop in Tempe but only eight street-legal dwarfs have been built by Adams. The first two Dwarf Race Cars were built in December 1979 and early 1980. The Dwarf Race Car idea came about after Adams and Daren Schmaltz had attended motorcycle side hack races in Phoenix. During the drive home, Adams expressed concern that three-wheeled racers were too slow in the corners. He said they could improve considerably by adding a fourth wheel to help through the corners. He suggested adding a car body would also help spectator appeal. Adams said he never went to college. The process of building a dwarf car starts with the decision of what car they want to recreate. Then very detailed photographs are taken of an original car. “I’ll take all kinds of pictures. Where the chrome starts and where it stops. Front view, rear view, side view, interior view, all the trim and the dash. Everything we can get a picture of what we will have to build,” Adams said. After the photos are taken, Adams said the ratio of the dwarf to the real car is determined, so each item can be calculated in mini-size. An accidental encounter with a Toyota has helped him on his journey. To make a “street-legal” dwarf car, Adams said every receipt for every piece made for the car has to be saved. The amount of the receipts is totaled together and that becomes the tax value of the vehicle when the car is licensed. “We don’t use the body or frame of another car. The MVD (Motor Vehicle Department) said they don’t care what car parts I use. There’s no problem getting them street legal,” he said. After making just eight street-legal dwarf cars, his last one is almost done. Just in case he might get bored after he stops building dwarfs, he has a side project already planned. A lady gave him a rare 1904 Oldsmobile Pie Wagon that “an old fellow started, and he died before he got it done.” The man’s sister asked Adams if he would take it, finish it and place it into his museum. 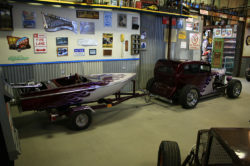 “I will do that, but I will shrink that car quite a few inches and make it fit in here,” Adams said. 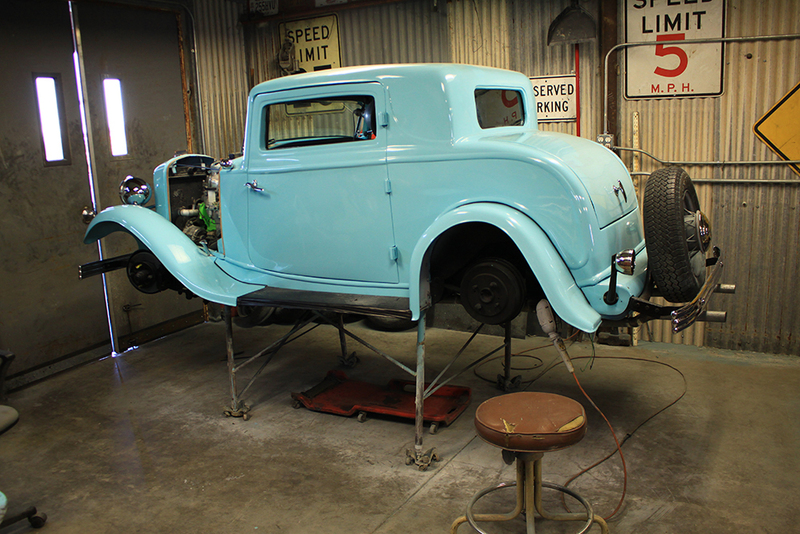 His last planned creation is nearing completion in the back shop. 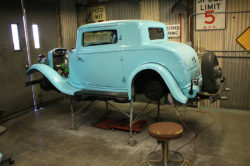 It is a 1932 Ford 3-window coupe in turquoise blue paint. 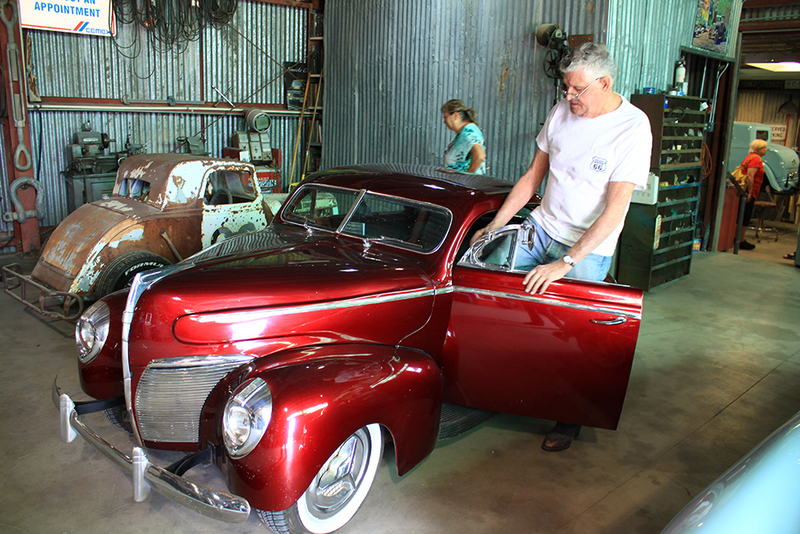 “I hope to have it done in a couple of months, so I can take it back to the ’50s car show. My friend Gene is building a ’64 Chevy Impala SS convertible,” he said. With the high-quality design of the dwarf cars, Adams could make a lot of money out of his creations but they’re simply not for sale. 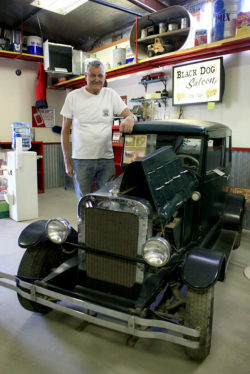 Adams’ partner in building Dwarf cars is Gene Tweedy. 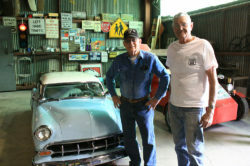 Tweedy, 76, has completed one car, a 1954 Chevy, and he’s working on his second, a 1964 Chevy Impala SS Convertible. After the body is together, Tweedy said he will then work on the interior and build a convertible top for it. Tweedy was living in Mesa but after his wife died he moved just three miles away from Adams to be closer to the Dwarf Museum and ease his ability to build his new car. 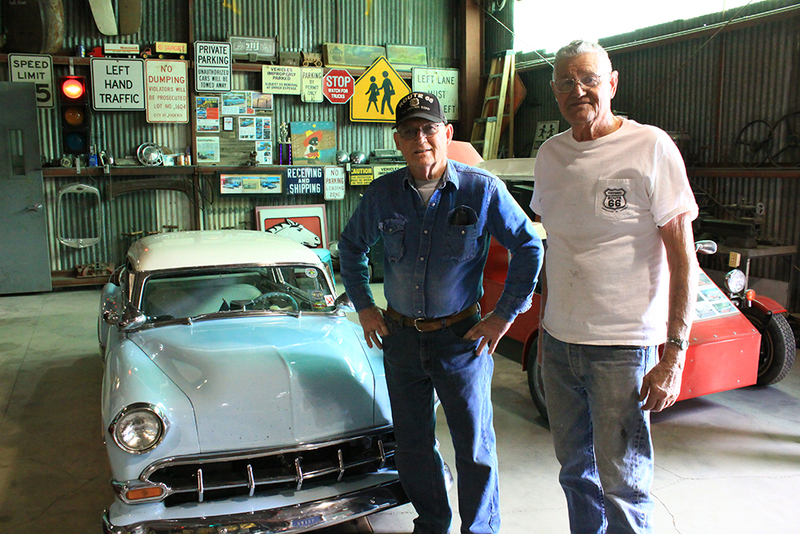 He lived in Mesa during the construction of the ‘54 Chevy and drove back and forth daily. “I found a place out here, so I wouldn’t have so far to run back and forth. It was 115-mile round trip every day. It adds a bit to the price of the car,” Tweedy said. He said he’s not sure how much money he might have invested in the Impala when it’s completed, because he doesn’t tally his receipts until its finished. He invested $10,000 into the construction of the 54 Chevy over a 10-year period.